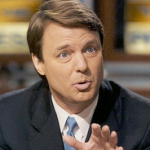 Over a month ago, as the nation pondered the fate of John Edwards, who was the subject of an investigation by the U.S. Department of Justice to determine whether he used over one million dollars of campaign funds to hide his affair and love child during his 2008 presidential bid, Dan shared his opinion on the case with Lawyers.com: “John Edwards is a broken man. The one time luminary of the Democratic Party has become a political footnote, a cautionary tale and an almost universally reviled human being. But he is not likely to become a convicted criminal.” Dan goes on to discuss the details of why the prosecution and defense will find themselves challenged in this particularly unique case, for example: “What makes the case particularly tough for prosecutors is that this is a novel use of the law. Typically campaign finance violations are considered civil, not criminal, matters and they generally involve misuse of funds from the campaign coffers. Here we are talking about dollars that were never on the campaign ledger and prosecutors will have to prove that Edwards solicited and spent the money knowing that it was designed to protect his candidacy rather than his marriage… But proving what was going on in Edwards mind is the rub. How can prosecutors deny that he would have done almost anything to prevent his wife from learning of his perfidy? Separating that from any broader campaign-related motives is what makes the case difficult. 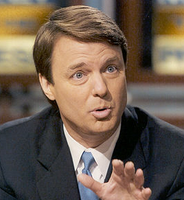 There is a reason prosecutors reportedly offered Edwards a plea deal on three misdemeanors that would have allowed him to keep his law license – and it’s not based in any sympathy for poor John Edwards.” Read Dan’s piece in full here.